Discussion with Drew (@DrewsClues) about being a Rachel Skarsten fan. 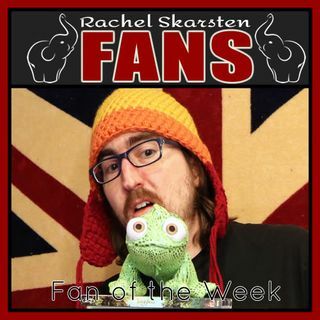 Drew is the #FanOfTheWeek for the week of June 5, 2016. Me too. They said they would sent her and a couple other requests I made an invite. I got in touch with someone who does our comic con here in Omaha to have her come next year. Is Orphan Black on Hulu? Im so lame tho. I didnt even notice Tamsin until she was with Bo. I use to be all abuot Lauren and Bo. That would be awsome to have a show with both Sarah and Rachel. Angel was good too, but I never watched the whole series. Yea thats what found too. Darn it. Its not available for purchase yet. I've been looking for it too. It is a Lifetime movie. Does anyone know where to get The Red Dress. I cant find it anywhere?